Everything you need (and a few things you don’t, but might find useful) to welcome your perfect first-born into the world. Getting ready for your first baby can easily become a frenzy of internet research, earnest conversations followed by enormous bills in various baby shops, refunds, exchanges and 3am nightmares about getting laughed at by the midwives for not having any clothes big enough for your newborn (actually, that wasn’t a nightmare, it happened to me). There’s something about the nesting instinct that can send even the most lacklustre shopper into a frenzy of credit-card swiping. Or maybe it’s the way everyone loves to tell you that once the baby comes you’ll never be able to do anything, ever again, let alone buy baby gear. Shopping? Forget it, they say. You’ll be wearing that exact same outfit in three years time. Eating? Get real. You’ll be living on toast crumbs and KFC. No wonder first-time mothers panic. But post-birth, you realise that the shops are still there and you are more than capable of visiting them. However, you may as well use that ferocious nesting instinct while it lasts to get super-organised before the birth. Here’s a list of essentials, as well as a few things that will make those early days a bit easier. Ideally you should do this by 35 weeks. Before you start, find out what your hospital provides. Some hand out nappies, and baby clothes, while others don’t – check this out and save yourself extra packing. Don’t let your partner be the one dragging three suitcases and a birthing ball across the hospital car park. However, if you leave the house in a rush or your baby comes early, don’t panic – the hospital will have everything you actually require. Muslin wraps are handy for wrapping a summer baby in or for mopping up spills! It’s a good idea to stock up on disposable nappies – at least four packs. Own-brand supermarket nappies are fine, and considerably cheaper if you’re on a budget, or stock up when the named brands are on sale. A wide range of cloth nappies is available locally from Booty Crawl www.bootycrawl.com.au Six is a good amount to start with, but if you decide to use them full time you’ll need around 24, if you do a load of washing every second day. With our sunny climate, cloth nappies really aren’t as much work as you might think, so worth looking into. The average baby will go through some 7,000 nappies at a cost of around $3,500 before he or she is toilet-trained, so you might want to think about using a combination of cloth nappies for use at home and disposables when going out – both to reduce your contribution to landfill and to save money. And get in the habit of putting any ‘solids' into the toilet, not the bin – it's better for the environment. Unscented wipes are good for when you’re out and about; at home water and cotton wool is gentler on newborn skin. A portable change mat is handy for taking out with you, while a wipe-clean one is essential for use at home. For bath time, you can use a very mild soap and a sorbolene cream for afterwards. Blunt nail scissors are good for that first nerve-wracking nail trim. If you’re breastfeeding, you’ll need some Lansinoh and breast pads, and may also need the phone number of a good lactation consultant, plus books or websites for any out-of-hours questions. Robin Barker’s bestselling Baby Love has a huge amount of straightforward information and advice on breastfeeding. And bookmark a couple of breastfeeding websites, such as Kellymom (kellymom.com) or La Leche League (llli.org). You’ll also need suitable clothes – a few good breastfeeding bras and loose tops; you can always drape yourself with a shawl for modesty. Mothers Direct (mothersdirect.com.au) has a good range of clothes and other breastfeeding equipment. Breastfeeding can mean being pinned to a couch on a regular basis, so remember to have some snacks ready to go: fruit, biscuits, nuts, muesli bars, cheese and crackers, hummus and carrot sticks or dried fruit, as well as the remote control and a large bottle of water to stay hydrated – it’s thirsty work. A Kindle is another good breastfeeding companion – light and easy to use with one hand, and no pages to turn. You’ll need six to eight 250-280ml bottles with newborn teats, as well as a bottle brush and disinfecting equipment (chemical soaking solutions or a steam steriliser), and formula labelled ‘standard from birth’. Check measurements carefully and always make up formula according to the instructions. A bassinette is useful and portable for the early days, but babies aren’t in them for long – about four months – so can easily go straight into a cot from day one. There are plenty on the market, as well as secondhand ones on Gumtree or eBay. IKEA does a good basic model (Sniglar, $99) that has two heights and removable sides, and can be bolted to your bed for night-time feeds and safe co-sleeping in the early weeks. You’ll also need three or four cot sheets, a new mattress and some light blankets. Sleeping bags are great for keeping babies warm (and asleep for longer). Grobags are good quality and will last through several babies if necessary – try The Sleep Store (thesleepstore.com.au) for a wide range. A mosquito net is also handy in summer – there’s nothing more guilt-inducing than waking up to a baby covered in mozzie bites. SIDS and fatal sleeping accidents are the leading cause of sudden and unexpected death in babies aged one month to one year. Mattresses should be clean, firm, well-fitting and flat, and there should be no puffy or soft bedding, as this can increase the risk of suffocation. The Sids and Kids website has a useful guide to making up a cot to meet current safety recommendations (sidsandkids.org). You’ll need one that has been approved to the Australian Standards AS/NZS 1754 for child car restraints. Kidsafe (kidsafewa.com.au) recommends buying a new car seat rather than a secondhand one, particularly if it’s more than ten years old. A baby’s car seat needs to be rearward facing, properly fitted to the car (you can have this done for you) and adjusted to fit the baby’s body. The car seat should always be in the back of the car where possible. Essentially, you need an adjustable pram that can lie flat for the first few months and then move into an upright position once your baby can support her head – this will last from birth until he refuses to get into it. Buy the best you can afford, particularly if you walk a lot, or look for a secondhand one on gumtree or eBay – a cheap pram is a false economy as it will either break or drive you mad. Other useful features to look out for are good sun protection and space underneath to store your bag. Lightweight models are preferable, particularly if you have to deal with stairs on a regular basis, but you don’t want it to be too flimsy. Look for good steering, suspension and an easy folding action – try them in the shops before you buy. And for safety, it should have a secure seatbelt that holds the baby firmly in place, good brakes and ideally a wrist strap so the pram can’t roll away from you. This needs to be big enough for a fold-up changing mat (great in grotty public toilets), a few nappies, wipes, a change of clothes and the usual phone, keys and wallet. Don’t feel compelled to buy the one with pink elephants on it – it’s really not expected these days. A baby bath is handy, but newborns can be bathed in the kitchen sink, and when they’re a bit bigger they are fine in a normal bath. A breast pump can be useful if you want to go to bed early and let your partner give the first night feed, or to leave some expressed milk with a babysitter. But it’s also one of those things that you might find you rarely use, so don’t rush into buying one too quickly. Equipment for getting out and about can make life easier, such as a waterproof picnic rug, a thermos, and a nappy mat with holders for wipes and nappies. A coffee cup holder for your pram is by no means essential but better than juggling (or spilling) your precious double-shot latte. Baby massage oil is great to use after a bath or to calm down a fractious baby – warm it between your hands and make sure the room is warm, too. Swaddling rugs or armless swaddle blankets work well for some babies, keeping them warm tightly ‘held together’ so they don’t wake themselves up. A baby monitor is good for hearing your baby if you’re out in the garden or in another part of the house. Slings are handy for walking the floor late at night to get your baby to sleep, or for keeping your hands free when out and about or doing things around the house. Baby Bjorn and Ergo are popular models, but it’s worth borrowing a few and seeing which one feels most comfortable for you. Babes in Arms (www.babesinarms.com.au) has a good comparison table of different models and brands. 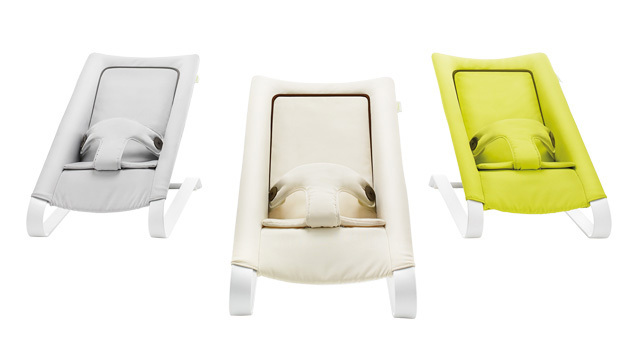 A bouncy chair is great to sit your baby in so he can look around. A fleece or rug is also handy for letting him lie on the floor or for tummy time. Zoe is mother to Tilo, two, and has another one due in October. She says that writing for Offspring is ideal for a novice parent as it involves learning more about many aspects of parenting, from choosing the right school to essential buys for newborns.